No matter what part of the trucking industry you’re a part of, it’s increasingly evident that technology is shaping the way drivers, shippers, and automakers take to the road. By now we’re all aware of just how monumental the autonomous trucking phenomenon is becoming. At the same time, many people still feel uncertain as to what this will truly mean. Are they trucks that completely drive themselves? What autonomous trucking technology is already on the road? Of course, we’ve all seen enough sci-fi movies to know that humans are fascinated by robots and futuristic vehicles. However, many people are skeptical as to whether the transportation industry is ready to deal with this new reality. Transportation professionals are mainly concerned about safety and efficiency when it comes to autonomous trucking. So, the time has come to really dig into what technology we’re likely to see and how its application will pan out. The Alliance for Driver Safety & Security, also called The Trucking Alliance, released new statements regarding a study conducted by the AAA Foundation for Traffic Safety on Nov. 1, 2017. The study was about autonomous trucking technology in its many variations. The study, entitled “Leveraging Large Truck Technology and Engineering to Realize Safety Gains,” cited four specific advanced technologies that can reduce injuries and fatalities in large truck crashes. Before we get into the employment side of this argument, it’s important to understand that safety concerns are guiding the conversation on adopting these assistive and autonomous trucking technologies. Trucking Alliance carriers don’t currently utilize all of these technologies in their approximate 71,000 vehicles. However, most of these devices are being tested in pilot programs in one form or another. The obvious goal is to reduce crashes and injuries while finding the most cost-efficient means of implementing these technologies in existing fleets. But still, the burning question remains. When, if ever, will drivers themselves be considered obsolete pieces of technology? No Automation (Level 0) – Drivers are the only ones in control of the vehicle and no operational functions are automated. Function-Specific Automation (Level 1) – One or more specific control functions are automated. This can include braking assistance and/or stability control, which allows drivers to regain control or stop more efficiently. Combined-Function Automation (Level 2) – Two primary control functions work together, such as adaptive cruise control and lane centering. Limited Self-Driving Automation (Level 3) – Drivers have the option to engage safety-critical and self-driving capabilities under the appropriate road conditions. Drivers must still be present to take control at any time. Full Self-Driving Automation (Level 4) – Once the navigational input is established, these vehicles don’t require drivers to step in. The vehicle can drive itself to the destination in nearly any road condition. At this point, not even the top competitors have achieved full, road-ready autonomy. Despite proof of concept, the industry is certain to come up against the reality of driverless fleets in the near future. While the next huge breakthrough could be seen in a matter of a few years, many in the industry don’t see the full application of level 4 autonomous vehicles taking hold for nearly another decade or more. Yet, transportation represents such an enormous part of the U.S. economy. It’s safe to say drivers can expect a lot more autonomous trucking technology added to their cabs in the years to come. 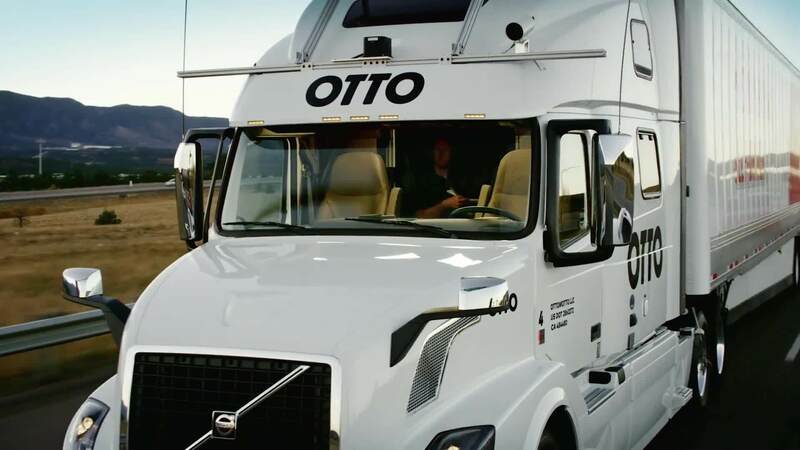 Do you use any autonomous trucking technology today? What do you like or dislike about it? Let us know in the comments below and share this article with others!